Full-term babies are born after a pregnancy that lasts about 38 – 40 weeks, while preterm babies are those babies born before the 37th week of pregnancy. Preemie babies born between the 23rd – 28th week of pregnancy are extremely preterm and are called “micro preemies”. 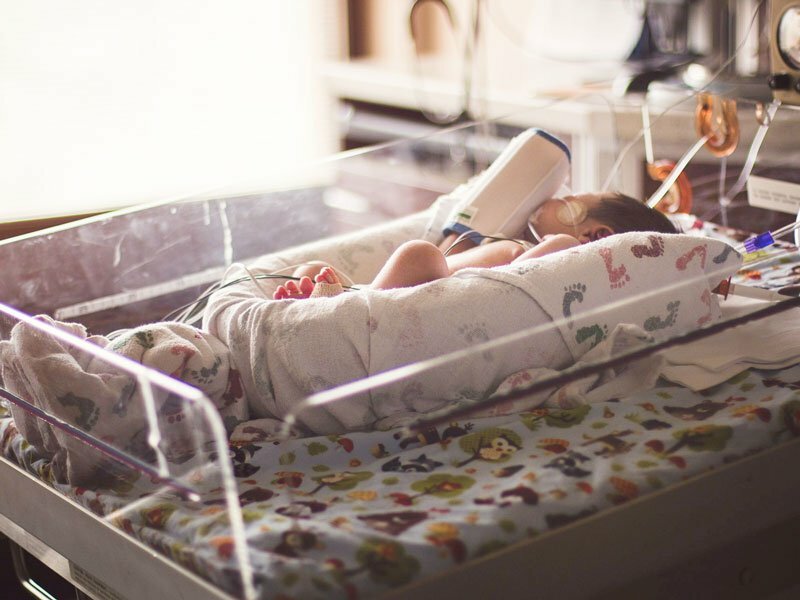 Their chance of survival is lower than babies born even a few weeks later – babies born at 23 weeks may survive in a state-of-the-art NICU, but the odds of survival are much lower. Knowing these facts, one can only imagine how Courtney Stensrud felt when she went into preterm labor being only 21 weeks and 4 days pregnant. Her baby’s chances of staying alive were significantly lower than even micro preemies. According to Courtney, just before the medical emergency that led to the birth of her daughter, she had searched online for information, but didn’t find any information on babies born at 21 weeks, so she gave birth knowing that there was little or no chance that her baby would live. Most doctors advise against resuscitating babies born before 22 weeks because their chances of survival are not high, and Dr. Kaashif Ahmad, a neonatologist, gave her the same advice immediately after the birth of her baby (while the umbilical cord was still attached), stating that the baby’s chances for survival were too low. However, Courtney Stensrud, with a mother’s heart and a mixture of faith and hope, asked the doctor to only try. The 21-week baby was placed under an overhead warmer and given oxygen with a breathing tube in her airway and quite unexpectedly, her heart rate started to rise almost immediately. Even more surprising to the team was when the baby started breathing and moving within a few minutes, slowly changing colors from blue to pink. Courtney Stensrud’s daughter was so tiny that she wore her parents’ wedding rings on her arm at three weeks, but after 126 days in the NICU, she was able to go home. According to Dr. Ahmad’s report, the testing carried out on the little girl at 2 years revealed that her fine motor skills were equivalent to a child of 20 months. She developed no auditory or visual impairments or cerebral palsy of any kind. She has grown into a thriving, spunky and normal three years old. Stensrud shared her story on CNN, hoping that it would restore hope and faith to other women that might be in antepartum and searching for answers. She further explained that although her experience with her ‘miracle baby’ (as well as a previous miscarriage), made her somewhat anxious when she was pregnant with her second child, she relaxed a little after hitting the threshold of 24 weeks. Courtney Stensrud’s daughter truly is a miracle baby, as she defied all odds and medical statistics, but as Dr. Ahmad told CNN, she was only one case, and more research needs to be done on babies born downwards of 22 weeks before generalizations can be made. He added that the case of the Stensrud baby might just be an extraordinary one and that more learnings need to be made before conclusions are reached.